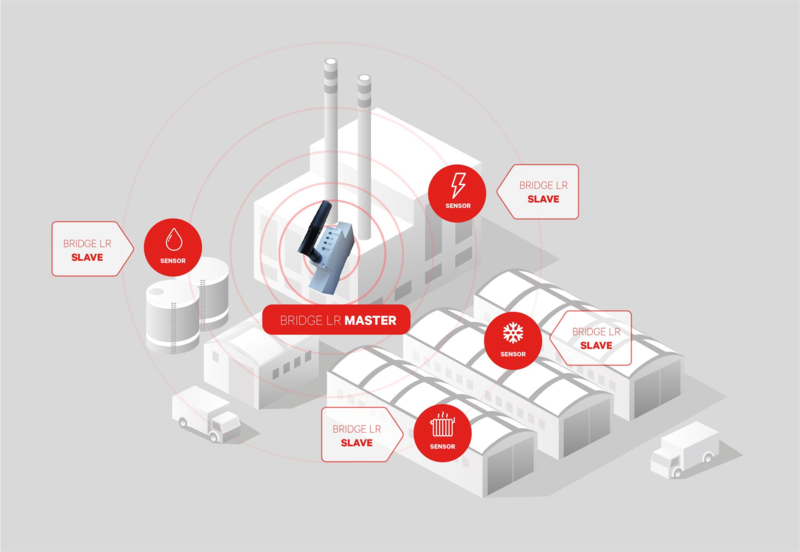 Bridge LR provides LoRaTM radio communications to any Modbus RS-485 device turning it into a wireless sensor with capacity to communicate up to 1 km in indoor areas and 20 km in outdoor areas with direct line of sight. Communication is completely transparent and it’s performed via Modbus RTU standard protocol, that will allow us to connect up to 32 devices per bridge slave enabled, having as many slave bridges as needed. There are two versions of the device, from one side, the version 230 VAC DIN has power supply from 85 to 264 Vac and DIN rail mounting (1 module), on the other site the version 12 VDC has power supply from 5 to 12 Vdc and wall mounting. The configuration of the device is performed via a PC software that it can be downloaded from Bridge LR’s webpage, at Documentation section.